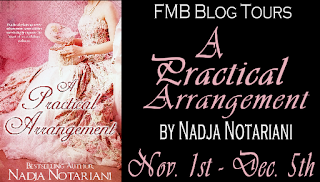 Today, Love Saves the World welcomes Nadja Notariani who is currently on a virtual book tour for her book, A Practical Arrangement. Evangeline felt sorry for Melody in a small way, her mother as well. They had no defense, no antidote to counter the forceful emotions stirred in them. She counted herself lucky to have been spared their burden. In good time Melody and their mother returned, tea arriving directly afterward, and while glad to see them she couldn't deny sorrow over her lost solitude. “Mr. 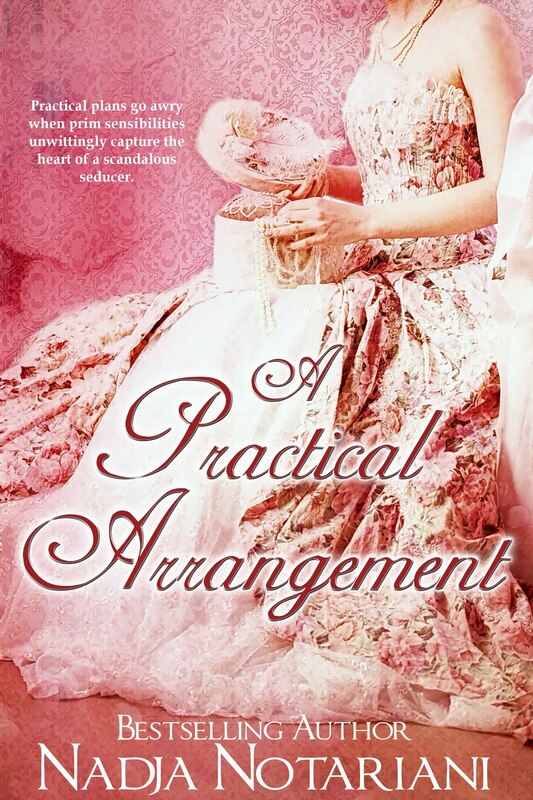 Lane is, by far, more handsome with his light hair and eyes,” Melody admired openly. They really are too silly! Infatuated girls, you'd think! Pursing her lips, Evangeline took a deep breath. Of all the fiddle-faddle! Preferring gentlemen! But as usual, Providence gave her no quarter, choosing the moment of her sister's question to spring said gentlemen into the sitting room. All eyes landed upon her, her father grinning in a most amused way. Evangeline flushed, a deep burn rising under her skin. Thomas Masterson made his greetings, and as the others conversed around the tea cart he neared, taking her hand and bringing it to his lips. “I'd take you at your word, Miss Grey, but your pretty blush suggests perhaps you do harbor a preference.” His eyes simmered, locked intently on hers. Oh! What did he mean by saying that? Still, he did not look away, surprising her. This is a sweet, straightforward, albeit sparsely-told story. I loved the idea of the patriarchs conspiring to get their nephew and daughter together -- but that natural chemistry manages to get the job done anyway. I thought Evangeline and Thomas were very intellectually compatible. I loved their conversations. I did worry about how Evangeline's "coldness" and fear for human contact would affect her marriage to Thomas, but Thomas was very gentle with her. - the cause of Thomas' reform: was it really just the ultimatum? The story starts a bit slowly but, when Evangeline and Thomas are together, it is wonderful to see their dynamic -- and I loved the juxtaposition of Melody and Mr. Lane's blossoming relationship. Disclosure: I received a copy as part of the tour. Yes, this is an honest review. Nadja resides in Northeastern Pennsylvania, ever embracing new adventures with her husband, three sons, and faithful German Shepherd. 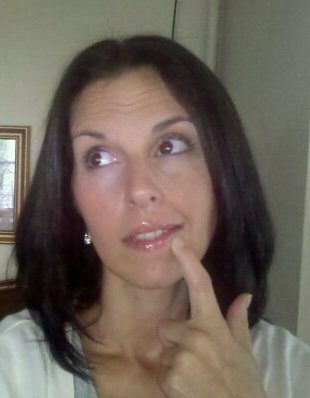 She also boasts two daughters, who have flown the nest to pursue their own adventures. Within her titles, readers can find romance and adventure, from contemporary to paranormal to historical, always with a happily-ever-after. Nadja enjoys hearing from readers and can be found at her website, on Facebook, Goodreads, and at Romance Novel Center. Readers are welcome to contact her via email. 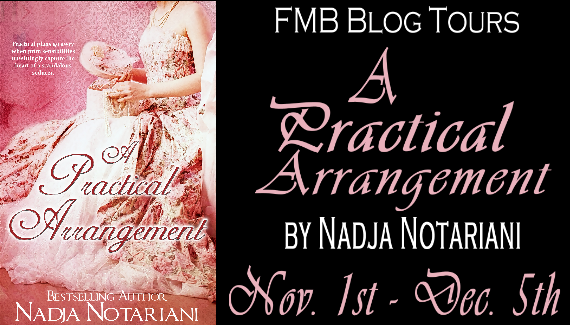 Nadja will be giving away two (2) copies of her book, A Practical Arrangement, to randomly drawn commenters during the tour. Fill in the Rafflecopter! Good luck! My favorite trope is the marriage of convenience which nearly always brings surprises and interesting growth in the H/H as they change the sterile marriage they contracted into one of real intimacy and love. Thank you for dropping by and helping me welcome Nadja!